Nina Rawal graduated from the University of California, Davis School of Law, in 2010. 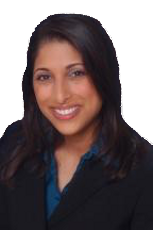 Ms. Rawal practiced law in Daytona Beach, Florida, for two different law firms, including The Law Offices of Smith, Hood, Bigman, P.A., before joining Cantwell and Goldman, P.A., in July 2015. Nina has experience practicing law in numerous areas including estate and trust litigation, commercial and residential real estate transactions, immigration law, health care law, business law, and employment law. Nina is fluent in Gujarati, and also proficient in Hindi and Mandarin Chinese. Before law school, Nina attended the University of Florida, where she was a member of Florida Blue Key and was inducted to the UF Hall of Fame. Ms. Rawal joined Nash & Kromash, LLP in 2019.